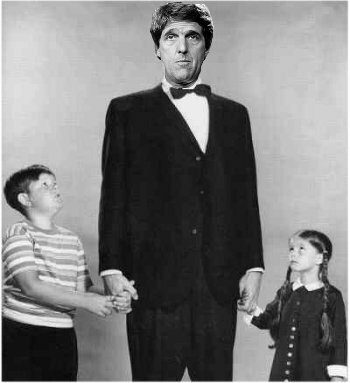 We all remember the lovable Lurch from the Adam's Family, even if you're not old enough to have seen the original show, you've certainly seen the reruns. Well he's decided to run for President. Dumb as a pencil, and slow witted as a snail he should make a good choice, because as we all know the less these people do, the better. Imagine instead of that worn out Hail to the Chief, the Adam's Family theme song as he enters. If you consider funny books heavy reading there is no doubt that this is your man. He's thinking about running "Thing" for VP.